Many people find themselves in situations where they are no longer capable of going into work and performing their job duties while simultaneously struggling to pay for ever-increasing medical and rehabilitation costs. This is doubly frustrating when this lack of resources isn’t only affecting you, but your family who relies on your income to make ends meet. One of the most common questions posed to personal injury attorneys is, “When can I expect to receive my compensation?” It’s an incredibly hard question to answer. As an attorney, you don’t want to get your client’s hopes up when there’s still a chance for failure or a less-than-ideal settlement offer. You also don’t want to make guarantees regarding timelines that can easily be impacted by countless variables. To determine when you may receive compensation, it’s helpful to first understand the personal injury process. The first step is always finding a qualified personal injury attorney to handle your case. It’s worth your time to do some research and determine potential attorneys’ reputations before scheduling initial consultations. Because money is likely a factor, you should ask whether or not the firm provides representation on a contingency basis, meaning you don’t owe them anything for their services until you have received a settlement. A thorough evaluation of your injury and the repercussions, both long and short term, is the next step in the process. Accurately determining the full extent of accident injuries and the potential long-term effects can sometimes take months, a year or more, depending on the type of injury. This step shouldn’t be rushed, because once a settlement has been reached or a trial reaches a verdict, the settlement will be final. You won’t be able to go back after the fact and modify the result if you discover the long-term effects will require expensive medical care for the rest of your life. Once the injury has been accurately evaluated as thoroughly as possible and all other relevant costs have been calculated, such as property damage, lost wages and similar monetary impacts, your attorney can reach out to the defendant’s insurance company to begin negotiations. It’s not entirely uncommon for insurance companies to settle this early in the process, especially to avoid accruing further legal fees, but, if they don’t, your attorney will likely begin the process of filing a lawsuit. Your attorney will file a civil lawsuit if initial negotiation discussions did not result in an adequate settlement offer. The lawsuit, or complaint, will explain in detail the accident and the defendant’s alleged culpability, as well as your injuries and the cost of treatment. This step also includes drafting a summons that will be delivered to the defendant in the case. Each party is entitled to all the information held by the other party regarding all aspects of the case. Attorneys will trade disclosure statements containing comprehensive lists of witnesses, any experts who will be called to testify and all facts of the case. You may be called on to answer interrogatories, which is a legal term for written questions you must answer under oath. As the plaintiff, you will need to formally authorize your attorneys to produce documents and act on your behalf during the case. The defense may also request you receive another medical exam from an independent doctor to verify the initial evaluation of your injuries. The deposition phase is technically also part of the discovery phase. You will meet with your attorney, the defendant’s attorneys and a court reporter who is there to document your answers. The defense will ask you any questions they deem pertinent, which you must answer under oath. Your attorney will be there to object if they deem any questions to be inappropriate. Before the trial begins your attorney and the defense attorneys have an opportunity to file motions. There are many types of motions that may be filed, from objections to certain pieces of evidence or witnesses to requests for dismissal of the entire case. Mediation or arbitration is always a valuable step. It’s generally in everyone’s best interest to reach a settlement before a trial begins, as it will save both sides money and will result in you receiving a settlement more quickly than if you have to go through an entire trial and all that entails. Mediation and arbitration are slightly different processes. During mediation, an independent and specially trained mediator will attempt to help both sides reach a settlement agreement. During arbitration, an arbitrator will hear arguments from both sides and pass down verdicts on issues relevant to the case, similar to a judge. The extent to which those decisions are binding is dependent on several factors, which your attorney can explain to you further. If negotiations and mediations don’t result in a settlement agreement the case will go to trial. 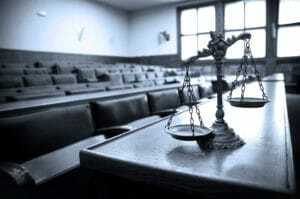 Depending on the type of trial, it may be heard by a jury or just a judge. At the conclusion of the trial the judge or jury will rule on culpability and the monetary award appropriate for your injuries. The length of the trial is dependent on the complexity of the case, and may last for a couple days to a couple of weeks. The case can still be settled at any point during the trial. Following the trial’s conclusion, the losing side will have the opportunity to appeal the verdict. If you or a loved one have been injured by another individual in the Sacramento area and you believe negligence played a role, it is likely in your best interest to contact a personal injury attorney. 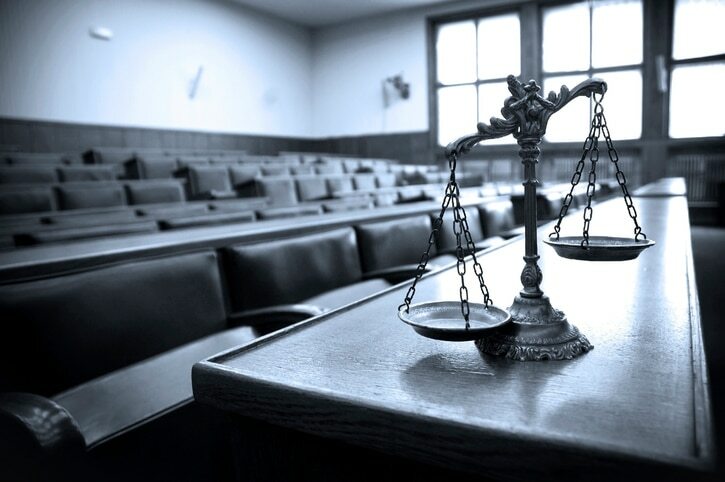 There are many factors that can affect the length of a trial, but an attorney can help you find methods to help finance your treatments, rehabilitation and living expenses while you wait for a settlement offer. If you would like to speak with an attorney at Ashton & Price about your injury or have questions about the personal injury process, please call our attorneys at 916-786-7787.